Sports fans are about to get a whole new way of experiencing the upcoming Tour de France and select endurance sports at the Rio 2016 Olympics thanks to a start-up out of CSIRO’s Data61 group. This year, spectators through doarama.com will be able to access customised 3D interactive map visualisations of the routes which will be used for the Tour de France (July 2 to 24). Fans will be able to interact with the maps by controlling how they view the route in a 3D virtual world. Spectators will also be able to preview selected routes for the Rio 2016 Olympics, soon to be featured on Doarama. CSIRO’s Data61 Software Engineer and head of Doarama, Pete Field said the 3D maps are changing how we experience endurance events, either as a spectator or an athlete. “Until now we’ve ‘made do’ with a 2D overhead map and a separate terrain profile,” Mr Field said. “3D fly-through maps were only available to large media broadcasters, and even then, these maps were limited to a single point-of-view, and only made available for the largest races. “With Doarama, sport routes can be made available online, and it is completely interactive. “The viewer can move around inside the 3D world while the route is laid out before them. The upcoming tool for the Olympics demonstrates the versatility of Doarama – the platform is able to accommodate various types of events that cover large areas. “Paragliders and ultramarathon races in Italy, France and California and the RedBull XAlps Competition have been early adopters," Mr Field said. "We’re expanding into more sports including base-jumping competitions and we're excited to see the new ways people use Doarama." 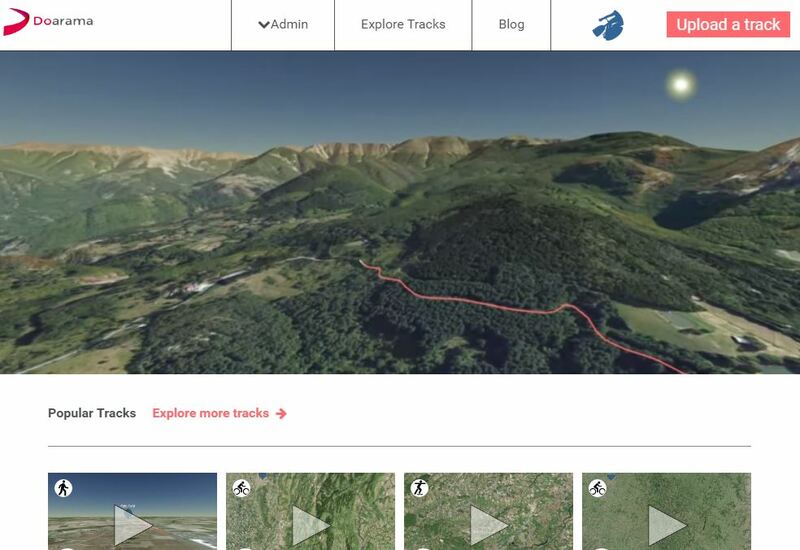 Doarama is free to use, works on desktop and mobile devices, and gives sport enthusiasts the opportunity to experience the walk, run, hike, rock climb, paraglide, cycle or ski route, using its GPS route visualisations. the ability for content providers to embed Doarama into their web service. Originally launched in 2013, the revamped Doarama platform has seen great uptake with approximately 400 per cent user growth over the last 3 months by offering a new, engaging way to gain a deeper understanding of the environment and obstacles that athletes are tackling. “Television and 2D maps just don’t compare – with Doarama, it’s visceral," Mr Field said. For more information about Doarama, please visit doarama.com . Doarama's online interactive 3D maps are chaging the way we experience sport.